TÉRAPO JUNIOR – ME, TOO ! The Térapo Jr series was specially developed for children from 0 to 9 years old. 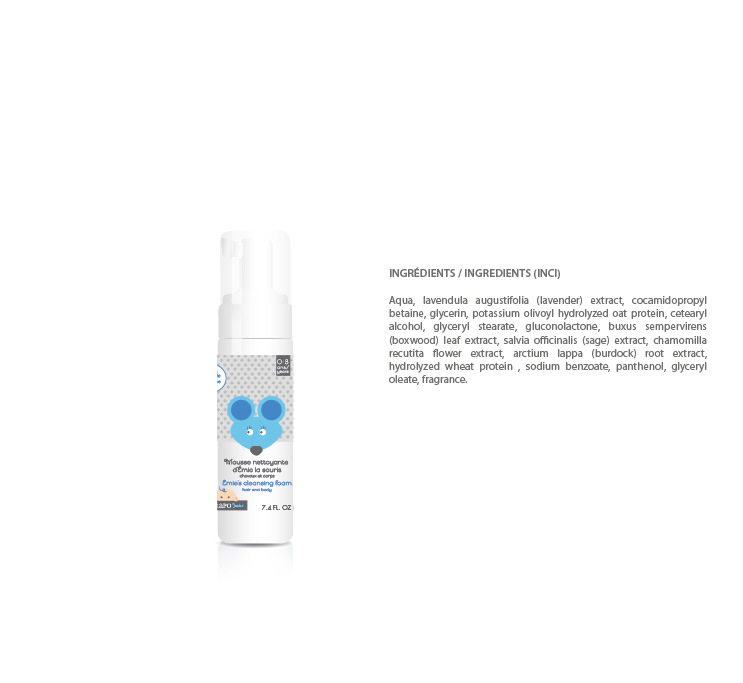 It is completely in line with our company’s philosophy, and is an offshoot of the very reputable Térapo Médik line: all natural ingredients, without polymer or silicone additives. Good capillary health habits acquired early in life will help your children avoid numerous problems later on! Simon the fish always enjoyed playing in the water, blowing bubbles and laughing. The environment is really important for Simon and he takes the best products for his hair! Come play with Simon the fish. 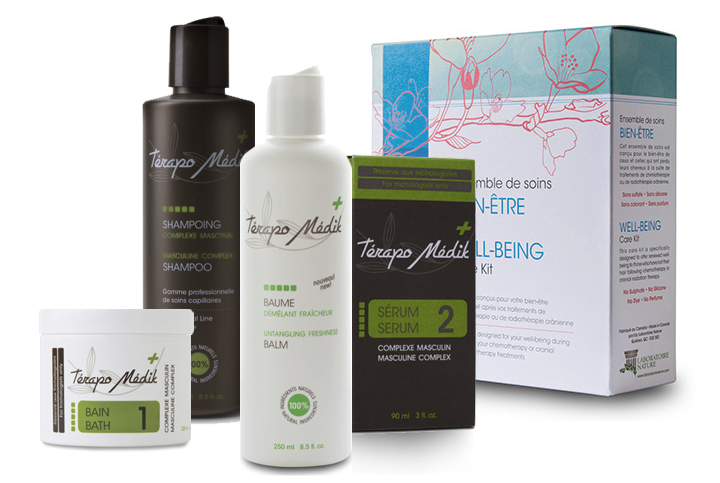 The Térapo Jr shampoo is designed for children from 0 to 9 years of age by parents concerned about the environment! Directions: First, lather and rinse. Lather a second time and leave on for 2 minutes. Rinse. Available in a 250 ml and 1 L sizes. Diego the monkey is really funny and he always takes care of his hair before bedtime! The environment is really important for Diego and he takes the best products for his hair. Come play with Diego the monkey. 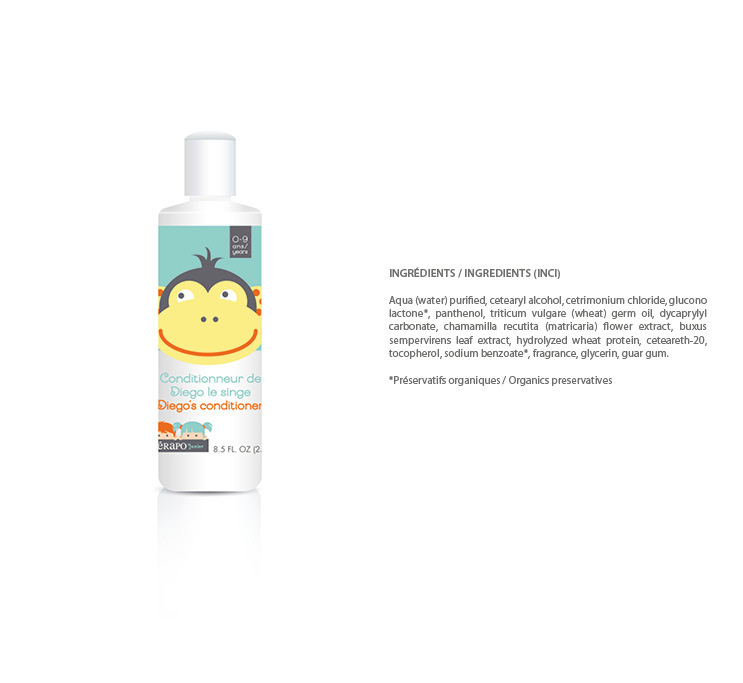 The Térapo Jr Conditioner is designed for children from 0 to 9 years of age by parents concerned about the environment! Directions: Apply a small quantity to the hair after the shampoo. Leave on for 2 minutes and then rinse. Available in a 250 mL size. Madeleine the Whale loves to splash in the water and to rub his belly. The environment is really important for Madeleine and she takes the best products for her skin. Come play with Madeleine the whale. 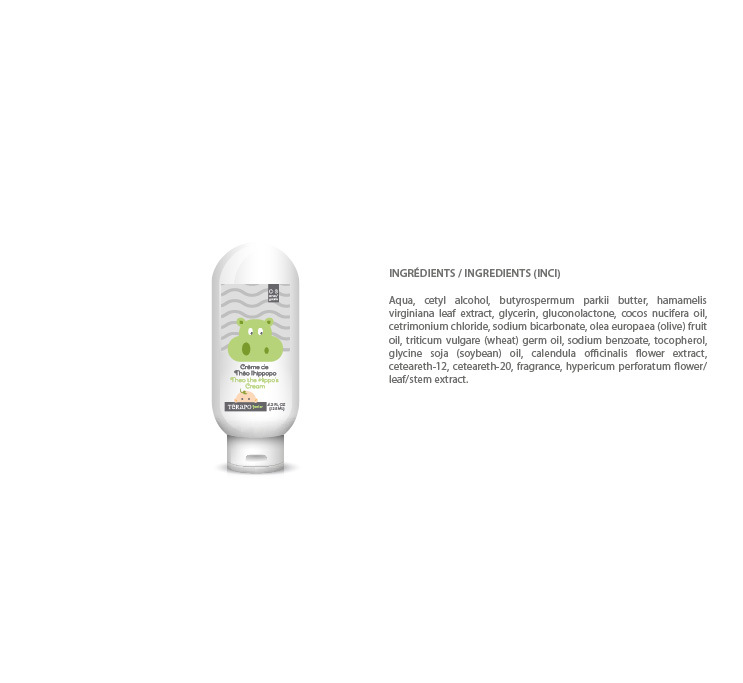 The Térapo Jr Shower gel is designed for children from 0 to 9 yearsof age by parents concerned about the environment! Directions: Apply a small quantity on a puff, lather, wash gently and rinse. Available in a 250 ml and 1L sizes. George the Duck loves playing in the water with lots of bubbles, with gentle, all-natural suds. George is very strict when it comes to the environment and chooses only the best for his bathwater. Come play with George the Duck! 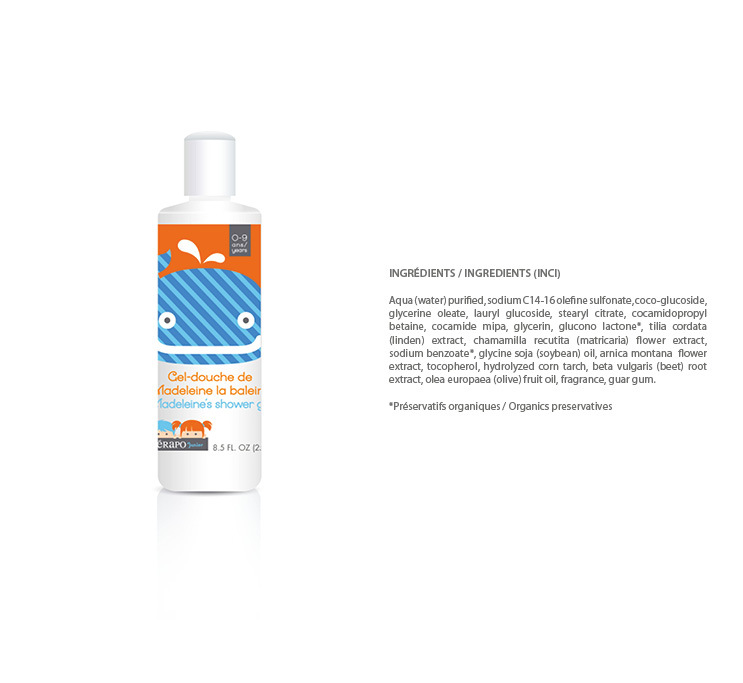 George the Duck’s bubble bath is specially formulated for children from 0 to 3 who love playing in the bath. Directions: Add one or two squirts from the pump to bath water. Make bubbles and have fun! Emie the mouse is small and with very sensitive skin. Emie is very strict when it comes to the environment and chooses only what’s softer and friendlier for her skin and hair. Emie the Mouse’s cleansing foam is specially designed for kids up to 3 years old who love to wash up playfully. Directions: Add a squirt of foam between the hands and apply into baby’s scalp and skin. Rub gently. Rinse. Available in a 210 ml size. Theo the Hippo takes good care of his delicate, sensitive skin. Theo is very strict when it comes to the environment and chooses only the best for his skin. Protect and moisturize your skin like Theo the Hippo! Theo the Hippo’s cream is formulated especially for babies and children under three. Directions: Apply a small amount on the hands and gently massage baby’s skin to allow it to soak in. Then it’s time for a hug! Available in a 125 ml size.